Which is Better: iPhone or Android? Apple iPhone or Android Smartphones - Which is better? Apple iPhone and Google Android Smartphones are the two popular Smartphone platforms available. Read this article to know which platform is the better choice. Basically, phones were designed to replace the immobile telephone so that communication could be established wherever we had to go. As and when the usage of phones started expanding, the design and technicalities also proportionately started bulging. The result is that there are hundreds of phones on the market now. With the advancement in technology the innovations introduced in mobile phones also diversified. From being able to set radio, play tunes, take photos, record videos, to sending messages, downloading games and other stuff from the internet and accessing the world wide web and the list continues endlessly. We can assume that just like in computers, the phone also has developed into different generations and this is considered the generation of Smartphones. In this journey, many of the mobile companies have tried not to leave any stone unturned that would assure to retain the consumer market. Eventually, the competition is getting tougher that drives the companies to release hotter phones every other day. Though there is innumerable number of players already into devising smartphones like Android, BlackBerry, Windows Mobile Phones and the Apple iPhone, the best choice is a challenge. Real smartphones are ones that combine both PDAs and phone functionality plus better internet experience. Two of the leading candidates happen to be the Android and iPhones. While companies like Samsung, HTC, Motorola, and LG have already forged and established themselves into Android software applications, Apple still retains its unique identity with that of iPhone and iOS. In terms of OS, the Apple's iOS comes with multitasking, folders and email inbox simultaneously not comprising on the ease of use. It is also renowned as the OS that offers more security. As for the battery is concerned though it cannot be changed on our own still the longer shelf-life of the battery is the best bet. The traditional 30 pin dock connector for attachment has been replaced with a smaller connector called Lightning thereby making it more robust, paving way for more space to accommodate other technicalities. This has rendered the phone 18% thinner and 20% lighter than the earlier counterparts. Android operating system still continues with a larger size adhering to "bigger is inherently better", but while Apple's iPhones has emerged as an exception with a smaller size that measures 3.5 inches diagonally. Two main revisions have set the iPhone as a better choice of the smartphone than others especially the Android. First is that the new display settings provide a bigger screen for activities like reading, browsing the internet and even watching videos or movies. Many of the traditional cables have been replaced with the wireless Bluetooth connection aiding in thinner size of the phone. 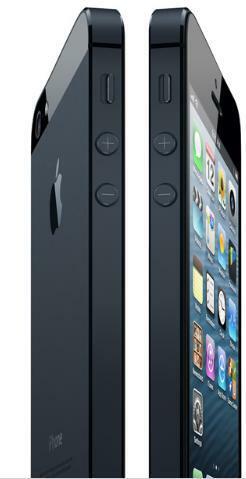 As always, Apple has strived its best to converge the best of everything into one package as Apple's iPhone 5. The product has already been unveiled this Wednesday at San Francisco, Us and by Sept 21 is expected to flood the world market. One good thing is that all the features discussed are offered at the much same price as previous versions not beyond $199. Also you get the iPhone with a two year wireless contract while not much is known about this with that of Android. This article deals with the details and features of Android smartphones with Ice Cream Sandwich as their OS. This article tells about the features of some smartphones that uses Android OS. In order to get exact knowledge, read the article. Are you looking for a new smartphone under Rs. 8000? Magicon Q50 is a new smartphone just released in the market. Read the specifications, features, price and availability of Magicon Q50 here. If you are bringing a locked iPhone to India from foreign carriers like AT&T, Verizon etc, read this post to learn how to unlock it and use in India with Gevey Ultra SIM device. I have also mentioned various options to jailbreak iPhone and many other phones. Are you trying to use iPhone in India to make phone calls and connect to internet? I recently brought an iPhone 4 from USA. Read my experience on how I am using it with Airtel prepaid network for phone calls and connecting to internet. You may use the same steps to connect to other networks like Idea, BSNL etc. In this article I have compared the three best quad core smartphones and provided you the information needed to choose the one which will suit you the most. Quad core is the new norm in Smartphones. With faster processing abilities and better performance, the quad core phones are the best your money can buy.